Jouan B4.12 Centrifuge w/ 4 Swing Buckets & 7 - 15mL 17mm Tube Inserts B412 . New Life Scientific, Inc. 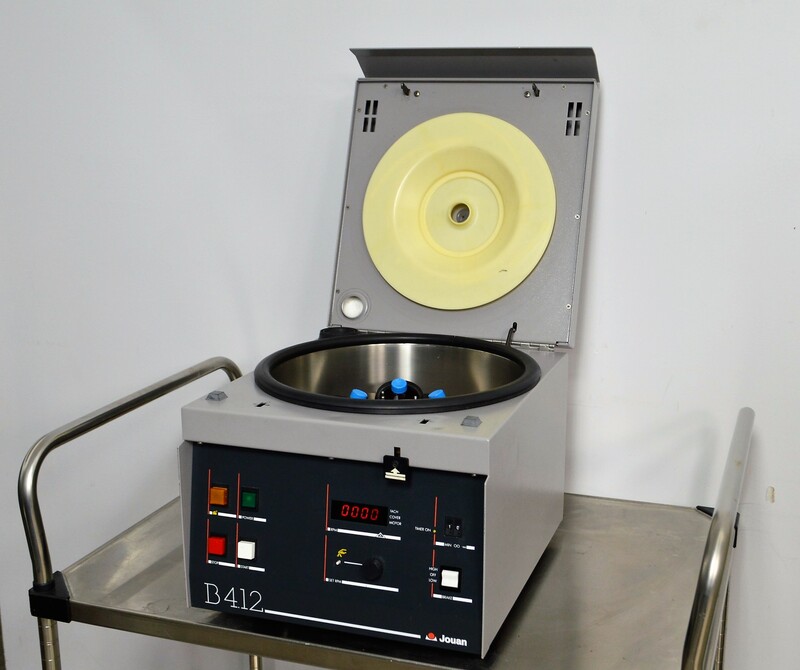 This tabletop Jouan 4.12 centrifuge is a turn key instrument that is ready for use in your laboratory. The technicians confirmed that this product is in great functional and good cosmetic condition; minor blemishes come with age, but we see the beauty these bring to the room with reliable functionality and simplicity. The technician tested the centrifuge at the rotor's specified maximum 4000 RPM and noted it spun both balanced and quietly. All buttons, status lights, and operational adjustments are responsive and located on the front of the centrifuge.